Here's an item your company won't go "back and forth" about! 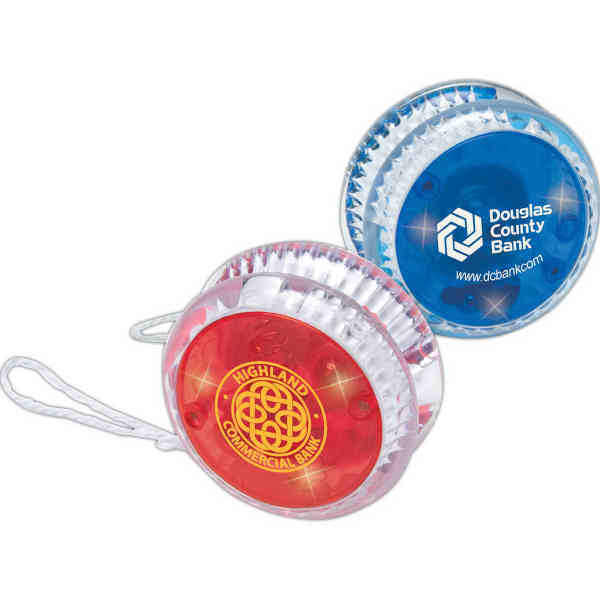 You'd have to be a "yo-yo" not to take advantage of this promotional item. This light-up yo yo will spin its way into the hearts of any user, and so will your brand! Add your logo to create a giveaway for an upcoming tradeshow, conference or seminar. What a terrific opportunity to promote your business. Order yours today to add something fun to your event. Batteries are included. Price Includes:One color imprint, one location. One color imprint only, per side. Price Includes: Available only for one color, one location imprints.